If I had to play backstreet lawyer I would guess that ebay did the selection totally on the amount of feedbacks the seller has. It stands to reason the more feedbacks the more experience the seller has. Little feedback sellers are hobbyists with wishes. eBay has made more profit - numbers please. But even so - Amazon MAKES products, licenses TV and movies, creates items (kindles, fire sticks) and owns inventory - eBay owns .... nothing. Can YOU spot the difference between the 2? Fees HAVE TO (state and federal laws) be offered to EVERYONE who performs the same way. Picking and choosing (assuming everyone is equal) is illegal. HOWEVER - if you take the time to read back what others wrote (Id pick Maries post as its the most cogent and direct on the matter I believe) that since eBay CREATES issues (with returns, mismarks shipping days, allows incorrect negatives) and therefore damages a sellers performance record ON ITS OWN - a "sellers record" is arbitrary at best. eBay allows sellers to have LOTS of negatives, as long as they have lots of sales. So would THEY qualify ? Without specifically seeing what eBay uses to qualify any seller for any program - its all just guessing and eBay favoritism. "Daily payouts: direct to your bank account. No need to transfer funds between accounts"
I don't believe for one little second this is going to happen. As Judge Judy says "the item doesn't leave one hand until the money is in the other"
I participated in the ebay payments survey - did any of the rest of you do it? I flogged the hell out of ebay - when I'm doing these surveys I always tell them exactly what I think. I don't sugar coat anything. What is a clawback account? It's that "extra" checking account you have at your bank. If your not already at a credit union type bank you should rethink that plan. Credit unions will give you 2 even 3 for FREE. This is for the folks that don't have one. So your "payments" from ebay will get dumped into your clawback account daily. Right? Every morning you transfer your funds into your REAL account leaving a -0- balance in there. If ebay has to come back and "reclaim" those funds there's actually nothing left to grab. Can they withhold future payments? Sure but at least they are not going to bounce your house payment or ruin your day with some other money grab from your real life. I'm actually in the process of setting up a 3rd acct - one for ebay - one for my website payments which will still come from Paypal. "[eBay] reported sluggish growth in its marketplace business and lowered its revenue forecast for the the rest of the year." The Fall Seller Up-Date is sure to include higher fees. Thank you for the clarification. I stand corrected. At this point, eBay is (to use an old metaphor), "rearranging the chairs on the deck of the Titanic". While PayPal has it's critics, a new payment system is very unlikely to alter the incidence of complaints, thinking otherwise is just silly. Perhaps the large stockholders will clean house before eBay becomes the next K-Mart, Sears (if it hasn't already) or worse yet Circuit City. "...a new payment system is very unlikely to alter the incidence of complaints, thinking otherwise is just silly." Humm, I had not heard that before. I've read a lot about this subject, but I missed that. I would have to agree with you, there is no reason to believe this would be affected at all. I agree completely that Ebay is NOT growing fast enough for my liking and that of many others. But "sinking", I can't agree with. Ebay has and is a profitable company, often times more profitable than others in a similar line of business. I certainly don't like many things that Ebay does, but venturing into a payment processing feature is a good business decision for them and hopefully it will help to move them forward in a more positive manner. It will be a slow process as it will take 3 years to implement this site wide. Only a very small portion of sellers will be testing the feature this year. 1) Wenig is betting his WHOLE future on an unproven payment system linked to an already glitch-ridden system. 2) There are new ebay shareholders to the tune of 40M+ shares today even as the stock drops over 9%. Don't know which takes the prize, but at least #2 gives hope to ebay. Fools rush in, even those with more money than good sense. They're a $20 Billion dollar business on the Euronext exchange. Fisher didn't get a promotion. Again, Fisher was defrocked of his CTO title and put "out to pasture" to graze in the special corporate purgatory land of "special projects". This special place is reserved for senior execs who aren't quite performing to snuff and are nearing the end of their career anyways, but can still offer some value to the organization, thus are allowed a courtesy swan-song. My speculation is Pittman took took the bullet for the poor execution of marketplace product development poor prioritization, delays, screwups, and glitches, while Fisher took collateral damage for not raising the alarm in time and/or not ensuring the engineering talent was in-place to deliver. Keep in mind eBay already brought in from the outside an experienced payments exec. in Alyssa Cutright as VP of Global Payments. I have no idea if Cutright is still there, or if she's recently been invited to pursue other opportunities (along with hundreds of others from the eBay campus). Her LinkedIn profile, like RJ Pittman's, still shows with eBay. If she's still there, there's some certainly some duplication at the top of the payments org, but my surmise is that Wenig is hedging his bets to cover his own arse when things start going sideways with payments -- his alibi being that he stacked the deck with not only this outside experienced payments exec, but also his former CTO -- if they couldn't get it got done right what more could he have possibly done? eBay needs a 3G-Capital style enima. Fisher had "NO" experience before being hired by Wenig? Salesforce.com, Apple & AT&T, I would say he has PLENTY of experience! Steve leads the strategy and execution of our payments initiative, overseeing the transformation required to manage payments on our Marketplace platform to significantly improve the end-to-end customer experience. His responsibilities include overseeing the strategy, business, product, risk and engineering efforts for payments. Steve joined eBay in September 2014 as Chief Technology Officer and led eBay’s core product and technology team, including the global product managers, engineers and technology professionals who deliver our trusted global marketplace, compelling multi-screen experiences, core marketplace capabilities, and big data insights. He was CTO for nearly four years. Prior to eBay, Steve was at Salesforce.com, where he served as executive vice president of technology. There, he led a team of software developers, quality engineers, and infrastructure engineers developing award-winning software which is used by 100,000 companies worldwide, including eBay. After 17 years with ebay am exhausted jumping through hoops and stupid changes. Jumping thru hoops and stupid changes are a way of life no matter where you are or what you're doing. Unless you decide to go off the grid and live in a cave. . .
As a potential return seller (10 years absent), I want the STRIPE gateway option. @sasikat. I won't be joining you-the minute Ebay tries to micromanage MY money, I'm out. My account will be closed and to be honest-my customers are MUCH better on Ruby Lane than on Ebay. Ebay is only good for getting rid of cheap stuff in a race to the bottom. I will not miss it from a sellers point of view. ...I think he'll do just fine as he winds things down if payments aren't too badly glitched. Also to be clear (and as previously mentioned), it's really Adyen doing the "heavy lifting" with payment processing. Not eBay. Essentially all eBay has to do is make sure their accurate data flows correctly to and from Adyen. Effective on June 18, 2018, you will transition to the position of SVP, Payments of eBay Inc., reporting to the CEO, at a bi-weekly salary of $19,230.77, which is equivalent to an annualized salary of $500,000.02. The SVP, Payments role, as constituted, is not considered a Section 16 officer position. As SVP, Payments, you will continue to be eligible to participate in the eBay Incentive Plan (eIP) with an annual bonus based on individual achievement as well as company performance. The annual bonus period is from January 1 through December 31. Your target bonus for the eIP is 75% of your annual base salary, pro-rated based on the eligible earnings paid while you are employed in an eIP eligible position during the annual bonus period. There is no guarantee any eIP bonus will be paid and any actual bonus will be determined after the end of the annual bonus period based on your eligible earnings as defined in the eIP. To be eligible to receive any eIP bonus, you must be employed on or before the first business day of the fourth quarter and you must be employed on the date the bonus is paid. 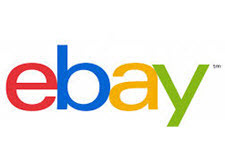 The payment of any bonus is at eBay’s sole and absolute discretion and subject to the terms and conditions of the eIP. eBay reserves the right, in its sole discretion, to amend, change or cancel the eIP at any time. Subject to the terms of the Company’s equity plan, you will be eligible to participate in eBay’s focal equity grant program in 2019. The value of your 2019 equity grant, if any, will be determined by eBay and approved by the Compensation Committee of the Board of Directors. For clarity, the minimum award value of $2,500,000 referenced in your September 2, 2014 offer letter no longer applies. All employees are subject to eBay’s Insider Trading Agreement, which outlines the procedures and guidelines governing securities trades by company personnel. On or after April 1, 2019, you may elect to transition to the position of Senior Fellow. As Senior Fellow, your salary will be adjusted to an annualized salary of $60,000. As Senior Fellow, you will continue to be eligible to participate in the eBay Incentive Plan (eIP) with an annual bonus based on individual achievement as well as company performance. The annual bonus period is from January 1 through December 31. Your target bonus for the eIP is 45% of your annual base salary, pro-rated based on the eligible earnings paid while you are employed in an eIP eligible position during the annual bonus period. There is no guarantee any eIP bonus will be paid and any actual bonus will be determined after the end of the annual bonus period based on your eligible earnings as defined in the eIP. To be eligible to receive any eIP bonus, you must be employed on or before the first business day of the fourth quarter and you must be employed on the date the bonus is paid. The payment of any bonus is at eBay’s sole and absolute discretion and subject to the terms and conditions of the eIP. eBay reserves the right, in its sole discretion, to amend, change or cancel the eIP at any time. The 1st part of the above post was a quote from another poster. I should have considered things and made that a bit more clear for you and put it in quotes. I'll try to remember to better accommodate you in the future. Fisher is also not an attorney (as best I can tell), but that wasn't really germane to the conversation so I didn't see a need to call that out. So many of the execs are though (buncha lawyers), so it's easily to confuse these people. So again, I didn't see benefit in this case to calling out anyone by name, and rather opted to clarify the posting for anyone casually scanning the comments. Your buyer might be able to use Stripe as payment but you as a seller will not be accepting that payment, eBay will.. Sellers will have only 1 choice, eBay payments, buyers on the other hand will probably get to use anything they want including but not limited to Paypal.